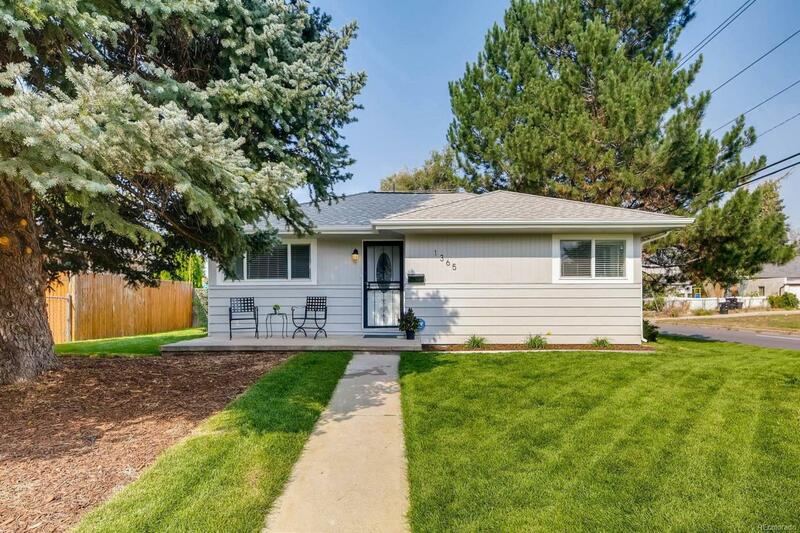 Beautifully remodeled ranch style home on large corner lot with 2 bedrooms, 1 bathroom and a detached garage with off-street parking. New flooring throughout, fresh interior and exterior paint, new stainless steel appliances, granite countertops, gas stove, and white shaker cabinets. The electrical panel, outlets/switches, and lighting fixtures have all been replaced. Newer furnace, A/C, hot water heater, windows, and roof. Beautiful landscaping and mature trees. Huge fenced backyard with plenty of patio space. Well situated between Lowry, Montclair, and Stapleton with easy access to Anschutz Medical Campus, shops, dining, parks and public transportation. This area is transitioning quickly with remodels and improvements happening on every street. Come look today! Quick possession and move-in ready.